Abstract: In the Martuljek Mountain Group (MMG), positioned in the northern part of the Julian Alps (NW Slovenia), a widespread drowning of the middle Carnian carbonate platform is marked by the onset of a thin (approximately 25 m) horizon of reddish pelagic platy basinal limestones (Martuljek platy limestone). According to conodont data, different ages of the upper part of the Martuljek platy limestone are documented, namely late Carnian in the SW and early Norian in the NE part of the MMG. The rimmed Dachstein carbonate platform progrades into the basin with typically developed facies zones: slope and reef margin (approximately 300 m thick) with abundant coral fauna with other framebuilders and the Lofer cyclic Dachstein Limestone in the backreef peritidal area. In the NW face of the Mt Skrlatica, platform to the basin transition is spectacularly exposed. The interfingering of slope to basin sediments and the dip of the clinostratification, indicate SW to NE progradation of the Dachstein platform (in recent orientation), which is also in accordance with conodont data estimation of the underlying Martuljek platy limestones. The margin of the Dachstein platform in the MMG is thus progressively younger from the SW direction to the NE. 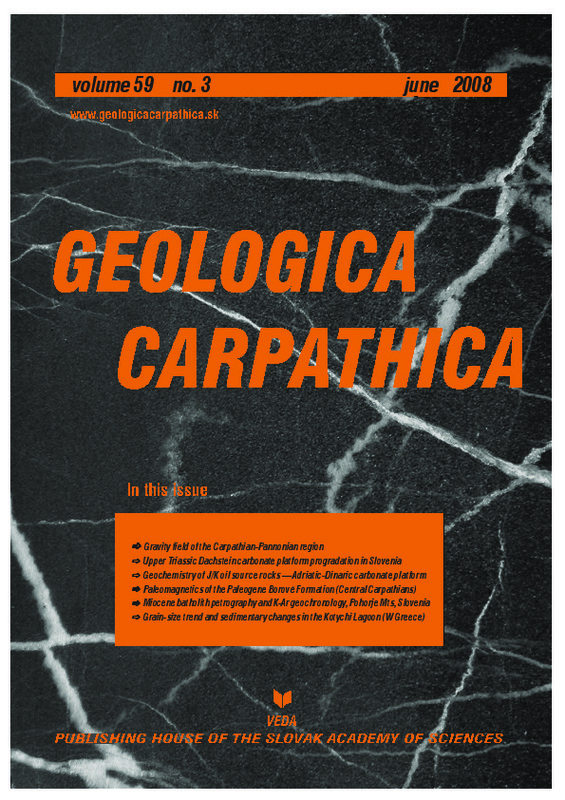 After (and during) the filling of the basin, the peritidal carbonate platform, with a more than 1 km thick succession of the Dachstein Limestone prevailed until the end of the Triassic Period in the central part of the Julian Alps. The Carnian drowning event in the Julian Alps and also in the Kamnik–Savinja Alps is not just a locally limited phenomenon, as described so far, but a widespread event, triggering the growth of the Tuvalian–Norian reefs, facing more open marine areas.